Geoff has always had an interest in natural history and his enthusiasm was fired after attending evening classes in the early 1970s run by the late Jack Otter, a well known Leicestershire amateur naturalist. A member of the Leicestershire Badger Group, he spent leisure time watching and photographing badgers, sometimes in the company of a great friend and teaching colleague, John Tinning. 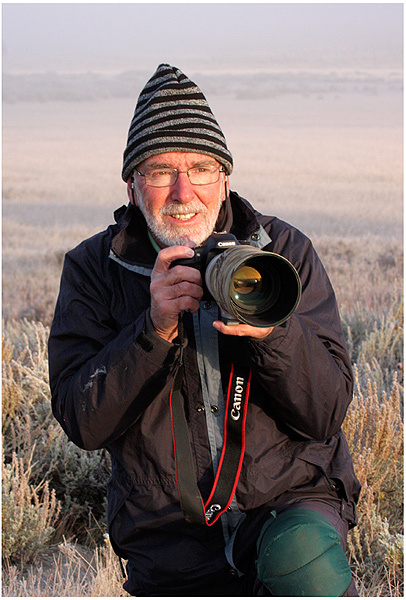 Being an active sportsman, Geoff had little time to pursue his interest in photography and wildlife. When age caught up with him, creaking joints signalled a change. He progressed into school management in Leicester after teaching Physical Education for many years and also maintained his enthusiasm for all aspects of natural history, completing a 2 year part time course which led to an Advanced Certificate in Ecology and Environmental Management. Following retirement, he was able to take up his photography more seriously and upgrade his camera equipment. He moved to digital in 2001 buying a Canon 300D and has since moved on to a Canon 10D (from John), 40D and recently a 7D. Since both retiring, Liz and Geoff have been fortunate to travel widely with trips to Greece, Spain, Cyprus, Cuba, India and Namibia. The greatest pleasure, after taking photographs, is sharing photographic experiences with friends and seeking ideas and techniques to improve his images.